What are Examples of Opiates? Opiates are the primary psychoactive alkaloids that exist in the opium juice of the poppy plant, Papaver somniferum. 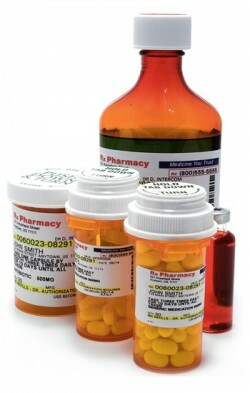 More commonly, opiates have come to be known as those chemical components such as codeine, morphine, and thebaine, as well as their derivatives and other opioids synthetically produced with similar structures and able to elicit similar effects, such as methadone, buprenorphine, or fentanyl. Opium is one of the oldest psychoactive substances used in history with references dating as far back as 300 B.C by the ancient Greek author, Homer. Opiates are essential medicines used to treat pain conditions that are insufficiently managed with other analgesics and while they serve other medical purposes, they are the most widely abused substances around the world, next to alcohol. For help finding treatment for opiate addiction call 800-584-3274 toll free today. The Controlled Substances Act (CSA) classifies opiates based on their abuse and dependence potential, their legitimate medical purposes, and their safety. The CSA schedules are overseen by the DEA who controls and tracks the movement of substances throughout the chains of manufacturing, importations, possessions, uses, and distributions. Most opiates are classified as schedule II, III, IV, or V substances with the exception of heroin which is classified as a schedule I substance having the highest abuse and dependence potential and no acceptable medical purpose or safety. The least restrictive classification of schedule V substances have legitimate medical value with the lowest potential for dependence and abuse such as some codeine formulations used to treat coughs in children and when the codeine content is minimal. Opium is the latex juice that comes from the poppy. Crude opium consists of varying potencies and alkaloid contents with the highest portions being morphine. According to the U.S. Institute of Medicine, “Excluding distilled spirits, the first addictive ingredient isolated from a natural product was morphine, which was extracted from crude opium by F.W.A. Serturner, a German pharmacist, in 1806.” Not much longer after that, codeine was isolated and along with thebaine, these alkaloids are the primary components from which other opiates are derived or synthesized from. Heroin was synthesized from morphine in 1898 to be more potent than morphine with less abuse liability which was a big concern in America after the Civil War and the invention of the hypodermic syringe in 1850 which helped to propagate higher opiate addiction rates. The idea that heroin was less abusive than morphine was short lived and heroin is currently, the only opiate classified as a schedule I drug. Oxycodone is available under trade names such as Oxycontin, Roxicodone, Oxecta, and many more brands and formulations such as Percocet and Percodan which combine analgesics with the oxycodone. Oxycontin became notorious for its high potency pills that produced effects similar to heroin in the 1990’s. On the street, Oxycontin pills are referred to as “Hillbilly Heroin”, “Oxys” and “Killers”. Users typically crush and snort the pills or inject them and like heroin, Oxycodone abuse leads to high rates of addictions, overdoses, and crimes. The high rates of overdoses and crimes associated with Oxycontin led to changes in manufacturing processes that contributed to the extended release and abuse deterrence formulations in opiate painkillers today. Call 800-584-3274 toll free to find addiction treatment today. Many prescription painkillers are opioids. Hydrocodone is often combined with analgesics for the treatment of moderate pain such as after a minor surgery or dental visit with examples including Vicodin and Norco. In August of 2014, hydrocodone combination products were reclassified as schedule II substances moved from schedule III because of increased abuse and overdose dangers. Hydromorphone or Dilaudid is a powerful semi-synthetic opiate derived from morphine. It is often used for chronic pain conditions and intravenous administrations in hospital settings. Abusers of Dilaudid are typically IV users as the bioavailability of the drug taken orally or intranasal is very slow and may abuse other opiates as well. Methadone is a synthetic opiate that is known as agonist medication used to produce similar effects to other opiates including pain reduction. It is well known for its effectiveness in opiate addiction treatment to help addicts detox from the short acting opioid and improve their health and social functions. Methadone relieves cravings and withdrawals, is stored in bodily tissues for a slower release mechanism and once a cross-tolerance is achieved, it blocks the effects of other opioids to deter their abuse. We can help you find the best treatment for you. Call 800-584-3274 toll free today. Like methadone, buprenorphine is a synthetic opiate that acts as a partial agonist to treat opiate addictions reducing cravings and withdrawals although it activates the opioid receptors in the brain to a lesser degree. Fentanyl or Duragesic is a synthetic opiate used for chronic and severe pain and has been estimated to be up to 80 times stronger than morphine. It often comes in the form of a gel-filled patch that is applied to the skin for up to 3 days with a slowed absorption rate. Top 5 Dangers of Vicodin You Need to Watch Out For - Vicodin is a powerful opiate. It can be overdosed on in too high of a dose, and it can cause addiction if its use is prolonged. The drug must be taken with great care.